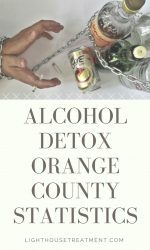 There are several settings where alcohol/drug detox can take place. Alcohol / drug detox can be dangerous and life-threatening and thus not advisable to do it at home. 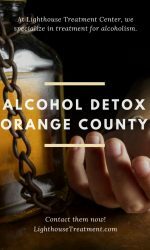 Alcohol / drug addicts who are not willing to commit their time and resources to seek for professional rehab services find it appealing to detox at home. But is it safe to alcohol/ drug detox at home? Detox is the initial stage that marks the onset of the recovery journey. It involves flushing out toxic substances in the body and it is marked by a series of withdrawal symptoms. Attempting drug detox at home without the intervention of rehab professionals can be tough and deadly. However, there are some given appropriate situations that make home detox suitable. If long-term results are to be achieved during recovery, the first stage of treatment, which is the detoxification phase must be thoroughly addressed. 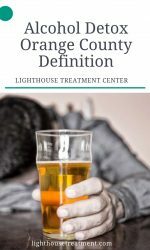 According to the National Institute on Drug Abuse, NIDA, the issue of drug/alcohol dependence must be thoroughly handled to help the patient break the cycle of drug/alcohol addiction and safely go through the process of acute withdrawal. Medically assisted detox is therefore the best option, whereby the addiction treatment takes place under the supervision of trained professionals. Depending on the severity of the addiction, the doctors advise whether to go for inpatient or outpatient rehab. Alcoholism or drug addiction is a severe physical and mental illness caused by drug dependency. This is a condition whereby an individual loses control over how much drug/alcohol to consume or how often to take the drugs/alcohol he is addicted to. What seems as a fun puff or an entertaining drink finally becomes a nasty addiction and getting out of the addiction is not as simple as many people think. There are many physical, psychological and mental effects of the addiction. Being in drug/alcohol addiction for a long time can lead to health deterioration and mental disorders that can make life miserable in the long life. In the most severe conditions, effects of addiction can lead to death. What many people in addiction do not know is that addiction does not only affect an individual but also the people living around. Families suffer a lot of mental torture when one member of the family is travailing from addiction. The best thing to do is to find the healthiest, safest and effective way to recovery. In order to achieve long-term recovery results, it is a great idea you understand the stages of recovery process. Diverse groups of people face the issue of addiction differently. Some individuals live in denial where they do no admit to the fact that they are suffering from addiction. Other individuals realize that they are in a mess and that they need help. Drug / alcohol addiction affects the young and old alike. 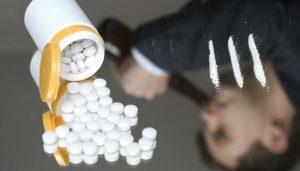 Men and women suffer from addiction every day. The effects of addiction on an individual depends on several factors like; age, gender, type of substance dependency, whether suffering from a health condition and whether the individual is taking other drugs. If you have a family or loved one suffering from addiction, the best way to face it is to understand that the individual is sick and he needs attention from health professionals. In cases of denial, it is good to help the individual understand that his life is in a mess but he can recover. It is never too late to recover from addiction but the more an individual stays in addiction, the more complicated and difficult the recovery process. The process of alcohol/drug addiction recovery involves three stages. These stages are; detoxification, rehabilitation and maintenance. Detoxification is the first and the most difficult stages of all. If not handled thoroughly, cases of a relapse are very common. Relapse is going back to drugs/alcohol addiction after a period of abstinence. Relapse prevention is very important since the issue of a relapse is more severe than when the person was in previous addiction. Most cases of relapse happen during detoxification. Why? I’ll let you know why. Is Home Detox Safe For You? Now that you understand that your life is in a mess and you need to get out of that nasty addiction, is home detox safe for you? There are many reasons why an individual may opt to detox at home. First, not every individual can afford professional rehab services. Home detox is way back cheaper and affordable to many. Lack of knowledge is another issue. This is the case where an individual does not understand the impacts of detoxification. The addicts goes ahead and starts addiction recovery at home without seeking help from professionals. 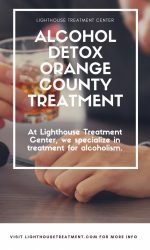 Another reason why alcohol/drug detox at home may be the only option is in the situation whereby your tight work schedule and family responsibilities may not allow you to go for inpatient medicated detox. Usually, childcare services are not offered at the rehab center. Alternatively, if staying within a rehab facility may not be possible for your case, your doctor can schedule appointments at your convenience. This is the case where you are asked to see the doctor after work or during your free time and receive addiction treatment. So, you can still receive medicated detox at home and avoid the risk of attempting drug detoxification without medical intervention. In the world today, we can’t say that an individual can opt to do home detox due to lack of a local rehab facility. Why? Due to the ongoing global campaigns, the issue of drug/alcohol addiction awareness is thoroughly addressed in almost every part of the world. So, everywhere you go, you’ll always find affordable rehab facilities. Gone are the days when alcoholism or drug addiction was termed as a social mischief. People used to suffer in silence and die out of addiction. Still today, cases of teenagers suffering from addiction in silence are common. So, if you are suffering from a nasty addiction. Find someone you can talk to now and begin your journey to a drug/alcohol-free life. What’s The Severity Of Your Addiction? The severity of the addiction matters most when deciding on the best type of recovery treatment. The kind of the drug an individual is addicted to also matter because different types of drugs/alcohol poses different withdrawal risks. If you started using drugs/alcohol few days ago and you realize that it’s going to put you into real mess. You can decide to stop using the drugs now by yourself at home since the effects are less severe. Now, let’s face it! Did you know that addiction causes you to lose control of your life and you may not know that you are addicted? 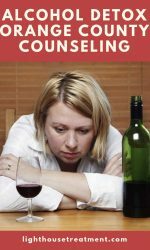 In fact, even if you take drugs or alcohol once in a while, you need to know that you have an alcohol/drug problem and the sooner you realize this, the better for to find help. How do you know that you are a drug/alcohol addict? When you find that you experience some withdrawal symptoms any time you fail to take your drug/alcohol of choice and you feel like you have lost control over how much or how often you take drugs, then you should know that you are addicted. Addiction causes you to develop bad cravings and it becomes difficult for you to continue with your normal life without drugs. If you have been in addiction for long and you want a safe and comfortable withdrawal, seek professional intervention. The reason why I say this is because the effects of withdrawal can be really overwhelming especially in the first 72 hours. In case of emergency, you can be sure to get help immediately. Loss of life and severe health complications may occur in critical addiction cases where no medical intervention is given. Some of the common addiction withdrawal symptoms are severe headaches, joint and muscle pains. nausea and vomiting, diarrhea, uncontrollable shaking, profuse sweating, skin and eye redness, hallucinations, seizures, increased heart rate and blood pressure among others. If some of the above withdrawal symptoms goes untreated, the results can be dangerous and life-threatening. For instance, if severe vomiting and diarrhea goes untreated, it can lead to dehydration which can result to death. High blood pressure and increased heart rate can lead to heart failure, stroke or other bad complications. For you to overcome the severe pain and headaches, you need medicated detox. The doctor prescribes medicines to help ease the pain and make withdrawal more tolerable. Many cases of relapse happen when an individual tries detox at home and fails to withstand the difficult withdrawal symptoms. The patient is tempted to take the drug/alcohol at least just once to ease the situation and then continue with recovery. Buying over-the-counter detox medications can be very dangerous. It is only the trained professionals who should prescribe medication to avoid further complications. 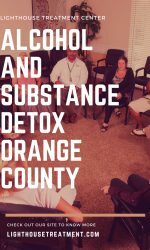 Most of the drugs given during detox are addictive and should be given to a patient under medical supervision to avoid addiction that may result. The first few hours after the last dose might not be very alarming but after 6-10 hours, withdrawal symptoms begins. These symptoms persists and worsens in within 72 hours and then the situation starts stabilizing. If all you want is a safe, comfortable and fast withdrawal, seek help from a doctor. Let the doctor to recommend whether you go for medicated or home detox. 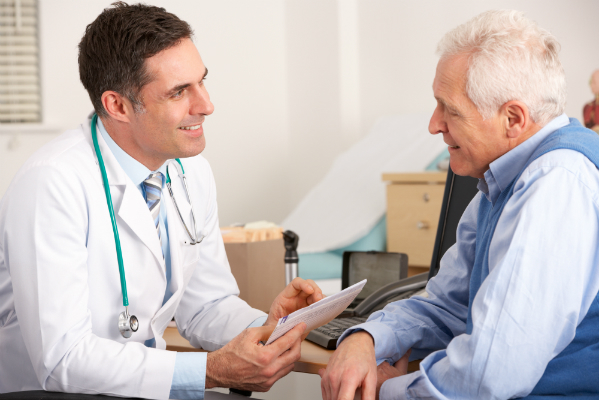 In cases of severe addiction your doctor may recommend an in-patient until your condition stabilizes and then you can be allowed to go home and be seeing your doctor on scheduled appointments. When in active addiction, you mostly rely on drugs/alcohol to handle life’s challenges. Drugs/alcohol interferes with the normal functioning of the brain making it difficult for your mind to function without drugs. During withdrawal, you may experience very strong cravings and urges and handling issues of life without substance can be a real nightmare. A lot of mental and psychological problems can arise if withdrawal is not addressed thoroughly. Anxiety, stress and depression are very common during withdrawal and that is why you need your doctor by your side for help. 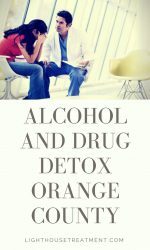 There is a difference between alcohol/drug detox at home and detox at the rehab centre. Before you decide on which type of detox is good for you, talk to your doctor first. Before you start addiction treatment, you need to be aware of what to expect so as to be physically and mentally prepared to face every stage of recovery. 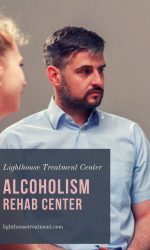 When you visit your local rehab center, your doctor will take time to discuss your case of addiction and help you understand the kind of a mess you are in and how to go about it. Gaining sobriety is not a one day event but it is a process that can take months or years depending on the severity of your addiction. The doctor offers you some counseling sessions to help you understand the need for recovery and make you aware of what to expect at every stage of recovery. At this point your concerns can be addressed to help you face recovery from a point of understanding. This is a very import part of treatment. In as much as there is no specific amount charged for medicated detox, the cost is worth it. 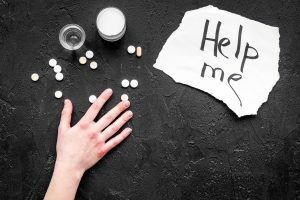 Basically, the cost of addiction treatment depends on several factors like the severity of the addiction, whether you are taking other drugs as well and whether you are suffering from a medical problem that needs special attention. In order to cut cost on addiction treatment, find out whether your health insurance company covers addiction treatment. Family and friends should be willing to offer financial support to help with addiction treatment. Considering the effects addiction has in your life and the lives of people living around you, you need to be willing to pay the price to recovery. However, if your condition isn’t complicated, you only need to learn how to alcohol drug detox at home. When substance abuse befalls you, a lot of things happen in your life. Addiction affects almost every aspect of your life including health, social life and family. Substance dependency is a family disease because when one individual gets addicted, it affects the entire family in one way or the other. When an individual is in active addiction, before the condition worsens and leads to health complications, first it affects his lifestyle. An individual spends most of the time drinking or in drugs thus neglecting family and professional responsibilities. Many families suffer when a spouse concentrates much on alcohol or drugs. Children suffer when and feel neglected during early stages of life when they need their parents most. Little children who need lots of childcare suffer most in the incidence of parent addiction. Addiction affects an individual’s reasoning and in many cases the person gets angry very first and can become violent. Fights and abuses are very common with addicts. As a result of the misunderstanding that arise between spouses, many family breakup cases are reported. When an individual neglects his/her professional responsibilities, it can result to job loss. In return, this might affect the family’s financial stability. When a family isn’t stable financially, many things happen and the effects can affect even the generations to come. For instance, children fail to receive quality education, the end up becoming jobless and thus they fail to live their lives to the fullest. How Can You Know That Your Child Is Addicted To Drugs/Alcohol? Addiction affects even school children and teenagers. Families with a history of addiction has a high tendency of their children being involve in alcohol /drugs at a very tender stage. Parent with addicted children undergo through a lot of mental torture when they can’t help it to see their beloved children suffering from addiction. If parents are not careful enough to monitor their children’s behavior, it is hard for them to detect addiction at the initial stages. Due to the strong peer influence in schools, drug/alcohol abuse cases are very common despite the global campaigns against drug/alcohol abuse. Schools need not to relent on the fight against drugs/alcohol abuse. However, it is not easy to know when your child is in drug/alcohol addiction because children are very canning and would do everything to make sure you don’t know what’s happening with their lives. But there are some red flags to help you know something is wrong. If you find your child losing interest in things he had lots of interest in, isn’t concentrating on his school work, stays in isolation, easily loses temper, loses appetite, steals your belongings and you detect redness of face or eyes, you need to know that your child is suffering from addiction. As a parent, guardian or elder sibling, there is something you can do about it. All you need to know is that the person is in a real mental and physical problem and needs help immediately. What Is The Role Of Family In Addiction Treatment? Addiction treatment is not a cheap investment regardless of whether it is taking place at home or in a rehab center. It calls for a lot of love, patience and support. During the first two days of detox, withdrawal symptoms are very severe. Severe pain and cravings can be very overwhelming. Due to the persisting stress and depression, suicidal feelings can be very strong to overcome. An addiction patient therefore needs a lot of support and love from the family. If drug detox at home produces persistent symptoms that requires medical attention, the family should be willing and ready to take the patient to the rehab center anytime any day to save his life. If you are suffering from a nasty addiction and wants to begin your journey to recovery, you need to know how to recover safely. In as much as you may be opting to do a home detox, you need to first understand how it is going to help or affect you in long-term. Whether detoxification is medically supervised or not, you are the determinant of your healing process. Your willingness, discipline and perseverance is what will help you achieve your goals for recovery. The key thing here is to understand what happens during withdrawal and what to expect so as to be prepared to face every challenge with recovery. 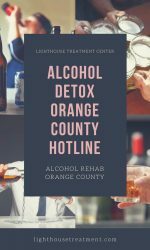 If you are suffering from a severe addiction or you are suffering from a health condition that needs special attention, you need no dare alcohol/drug detox at home. You may experience dangerous health complications that may put your life at risk. Is Healthy, Safe And Fast Recovery All What You Want? Alcohol/drug addiction stops you from living your life to the fullest. If hinders you from achieving most of your life’s goals. It affects your relationships in ways you never imagined. If you want to bring your life back on track, find your way to recovery now. There are many recovery options available at your disposal. Finding the healthiest, safest and fastest recovery treatment is a brilliant idea. 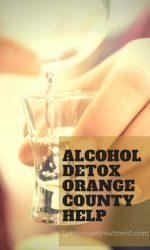 Before you think about how to alcohol/drug detox at home, consult a team of professionals for recommendations. Need Help With Addiction Treatment? Facing addiction is not the easiest thing ever. It is a journey full of ups and down but with the right support and mentor-ship, recovery can be achieved. It doesn’t matter for how long you have been struggling with addiction, you can still find help. 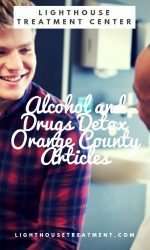 If you have overwhelming issues with alcohol/drug addiction and you don’t know what to do? Don’t wait until the condition worsens for you to find help. Understanding that you have issues with addiction at the very initial stages, learning how to alcohol/drug detox can be the thing for you.